Think of It as Your PhD in Drinking. 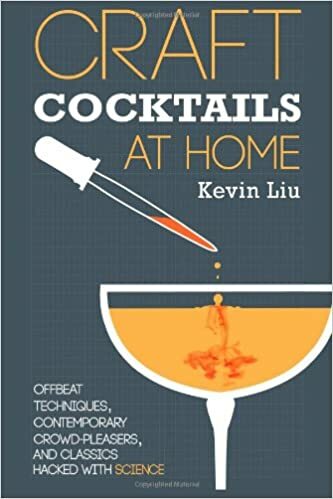 In Craft Cocktails at Home, you’ll embark upon a one-of-a-kind journey as you learn how to make some of the world’s most innovative, unique, and delicious cocktails. Taste scientists, engineers, and talented bartenders with decades of experience all contributed their expertise to create this must-have guide for novices and professionals alike. Ever wondered what makes water taste good? Curious about what really happens during the barrel-aging process? Interested in which “molecular” ingredients have the best texture? These questions and more, answered inside.